On the beach in St. Andrews, Scotland. I know where my plane will land but not where I will land. I write this as I research my soft landing in Kauai – where I will stay and for how long. This is my first trip of 2016 and like all my trips, I really want to know where I lay my head the first night. Arrive early – If at all possible, arrive in the early to mid-afternoon so that you get a feel for a place in daylight. Arriving after dark is number two on my Solo Travel Mistakes to Avoid but it's not just about safety. It's about starting your trip with a good feeling. Talk to people. When you travel solo you have more opportunities to talk to locals and to other travelers than when you travel with others. 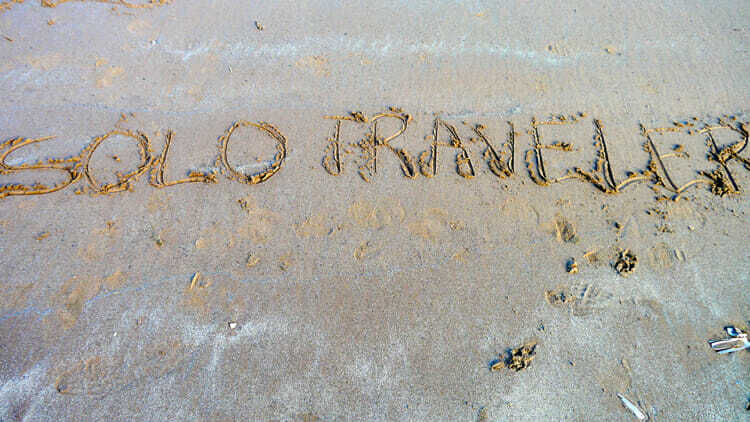 To learn how to meet and talk to locals read Travel Solo and Yes, Talk to Strangers. Other travelers can be more difficult to find unless, that is, you're staying at a hostel. At hostels people are open and friendly and inclined to share information. Read Sleeping with Strangers: The Hostel Experience. Get the news from a local perspective. Many places I've traveled have had a local paper in English. Reading a local paper or watching the local news gives you a sense of what's important to the locals or, at least, the expats of your destination. Learning to make torteloni in Emilia-Romagna. Learn something new. This will naturally happen if you are traveling to a new place but what if you're going to New York City for the 4th time? Go beyond the obvious. Dig deeper. And consider learning about more than just your destination. It may be a language or cooking a new cuisine or painting… Read How to Find Classes when Traveling Solo – 10 tips. Go to the places locals go to. Find a local theatre production or, if you don't speak the language, see some live music. I don't go to the opera at home but I do when traveling. You may want to read How to Go to a Bar Alone: Best Music in Nashville. Get an overview of the city. Whether you choose a hop-on-hop-off tour or you prefer to take an iconic bus or tram route through a city, taking your time to get an overview of the city soon after arrival not only gives you an overview but can give you an idea of what you want more of. Tram #22 in Prague is famous for this purpose. So is the Queen streetcar in Toronto though I would recommend the Carleton car. Try a new food. The local cuisine is always a treat. Go to the market to see what people buy and how they shop. Eat out but try to eat where the locals eat. I remember being in a hotel bar in New Orleans and asking the bartender where I should go. I specifically said, tell me as if I was one of your friends not a tourist and I got a great experience. This beautiful graffiti was in a park tucked away in the Sternschanze district of Hamburg . 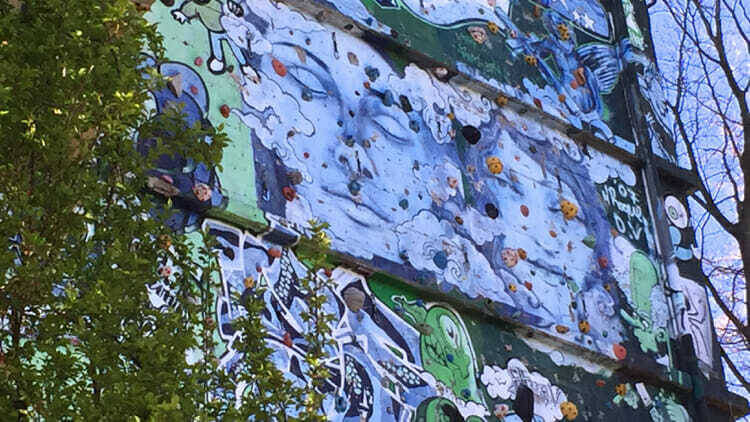 Check out the art scene – You can go to the public art galleries, privately owned galleries or take in street art at markets or literally on the street. Going into neighborhoods, beyond the usual tourist streets, can reveal some beautiful art. Take note of the geography – The landscape of a city can say much about its culture. Most older cities are located beside water. Consider what that water has meant to the town's history, its people and how they live – Venice's location on the Adriatic Sea had a very different impact on the culture than Hong Kong's position on a natural harbor. Mountains create different traditions than prairies. Geography is a fascinating study. Sit and watch. Slow down and watch life transpire. See the nuance of your destination. This will inevitably raise questions in your mind – questions to ask the locals you speak with and things which you’ll want to do some research on. There you have it. These are the 10 things that I consider really important when you travel solo.